Edvard Kocbek was a Slovene poet, writer and political activist. Born in 1904 in Sveti Jurij ob Ščavnici, he studied theology for two years before pursuing Romance Languages at the University of Ljubljana, becoming a French language teacher. In 1938 he founded the journal Dejanje (The Action), an influential voice he edited until the Second World War. As a member of the Christian Socialists, Kocbek performed various roles in the Liberation Front during the war, receiving high offices in its wake. When his short story collection Strah in pogum (Fear and Courage), a wartime account that questioned the ideological narrative of the regime, enraged the Communist Party, he was expelled from political life. Kocbek began publishing poems in 1924 in the student publication Stražni ognji (Watch Fires), and later alongside his essays in the journal Dom in svet (Home and Abroad). His debut poetry collection Zemlja (Soil) established him as a talented modernist author with a knack for combining expressionist and symbolist elements. In the decades after the war, Kocbek found himself on the edge of existential ruin. While the communists were utilizing the National Liberation Struggle to wage class war and tighten their grip on power, the poet’s utopian illusion of an all-national ethical and political transformation was shattered. Barred from public appearances and cultural activities, he was prevented from publishing up until the early 60s. During that time he earned his living by translating from French and German. His post-war poems speak of the rift between wartime idealism and the actual social reality enforced through violence and fear. 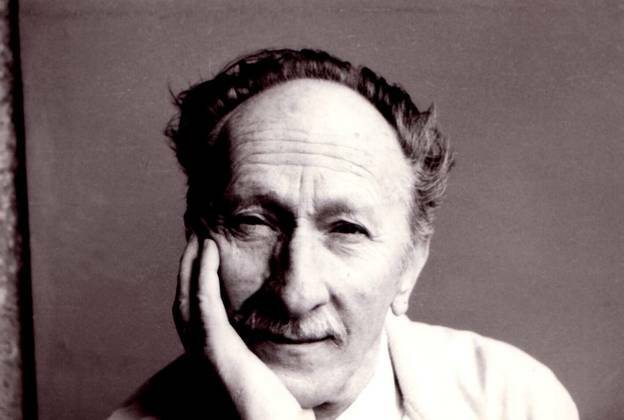 Unlike many of his peers, Kocbek was not a social realist, drawing inspiration from religious expressionism, French personalism and existentialism. He explored the subject of the educated man facing colossal historical events, such as the rise of fascism or the National Liberation Struggle, in Kocbek’s works narrated through the testimony of an individual cast into the storms of historic upheaval. He died in Ljubljana in 1981. Poetry collections: ZemIja (Soil), 1934; Groza (Terror), 1963, Poročilo (The Report, 1969), Izbrano delo (Selected Works, 1972), Žerjavica (Embers), 1974; Zbrane pesmi I-II (Collected Poems I-II, 1977), lzbrane pesmi (Selected Poems, ed. Tone Pavček, 1985), Kamen skala (Boulder, Rock) (published posthumously, ed. Andrej Inkret, 1991), Rane pesmi (Early Poems, ed. Tone Pavček, 1991). Prose and essays: Tovarišija (Camaraderie, diary 1942-1943), 1949; Strah in pogum (Fear and Courage , four short stories, 1952 and 1984), Slovensko poslanstvo (The Slovene Mission, diary 1943), 1964; Listina (The Document, diary 1943), 1967, 1982; Eros in seksus (Eros and Sexus, lecture), 1970; Izbrano delo I-II (Selected Works I-II), 1972; Svoboda in nujnost (Freedom and Necessity, essays), 1974; Krogi navznoter (Concentric Circles, essays), 1977; Pred viharjem (Before the Storm, diary), 1980; Sodobni misleci (Contemporary Thinkers, essays), 1981; Peščena ura (Hourglass, letters to Boris Pahor 1940-1980 ), 1984, Dnevnik 1951-52(Diary 1951-52, ed. Dimitrij Rupel) 1986, 1987; Dnevnik 1945 (Diary 1945, ed. M. Glavan), 1991; Dnevnik 1946 I-II (Diary 1946 I-II, ed. M. Glavan), 1991; Osvobodilni spisi I (Liberation Essays I, ed. Peter Kovačič Peršin), 1991; Dnevnik 1947 (Diary 1947, ed. M. Glavan), 1993; Osvobodilni spisi II (Liberation Essays II, ed. Peter Kovačič Peršin), 1993.